Imagine it’s Saturday night, and you’re entering a mood-lit room filled with familiar faces eagerly anticipating the coming hours… and it’s not a downtown bar or movie theater. Up until a few weeks ago, such a place did not exist in Central Oregon. But when one man took a good look around his town, and saw that cowboy boots were only being put to one use, he two-stepped his way right into the next best thing in Redmond: a country western dance hall. 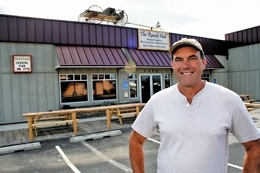 David Shurtleff, a resident of Redmond since 1999 and owner of Coyote Ranch Restaurant, purchased the one-acre lot off Highway 97 with the idea of creating the perfect symbiotic relationship between dining and dancing. With an exceedingly popular restaurant known for the best steak in Central Oregon, Shurtleff seized the opportunity to introduce his customers and community to a new venue for weekend entertainment. “There’s just no place that you can dance in this town unless you’re into hip-hop or techno,” explains Shurtleff as he looks around at the hall. Sunlight bounces off the refinished hardwood floors, and onto the horseshoes and reigns tastefully placed above the stretch of tabletop that connects two saloon-style bars. With the availability of call drinks, beer on tap and wine, the barstools and seating areas situated opposite the stage will surely be full between dances. Throughout the night, Coyote Ranch will deliver hot appetizers to serve any guest who works up an appetite. Countrified played this last Saturday, and Portland band Constant Rush will also be making an appearance in late October. Although the Ranch Hall has successfully booked its stage throughout the month, Shurtleff is always seeking new bands to introduce Redmond to a new flavor of country western music, and of course, the occasional slip of rock and roll classics. While there’s no doubt that Ranch Hall comes alive on the weekend, anticipation builds with regard to Shurtleff’s plans for entertainment during the week. Dance classes are scheduled to appear regularly, and the hall is open to hosting a variety of dance styles and instructors. Private parties are also welcome at the hall. Wedding receptions, banquets, graduation and birthday parties are just a few of the gatherings Shurtleff mentioned Coyote Ranch would gladly cater and bartend. 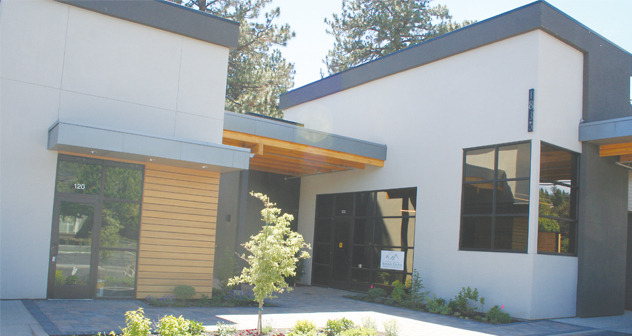 The Rotary Club is first to rent out the hall for their private purposes, and the Redmond Chamber will announce the new dance and entertainment venue at the ribbon cutting and wine tasting ceremony on October 3 at four in the afternoon. With a minimal cover charge, a night of dancing and socializing at Ranch Hall is well worth replacing the dinner-and-a-movie routine. No longer do central Oregonians have to flee to the big city for a place to let loose and dance till the cows come home.